These beautiful beaded tassel earrings inspired by Oscar de la Renta’s tassels make fabulous statement jewelry! Put them on for daily wear and pump up the fashion-forwardness of your outfit, or go glam and pair them with an elegant up do for a formal event. Mix and match your colors to pair with your favorite outfits. The possibilities are endless when you’re DIY-ing! Start by cutting several pieces of fire line. 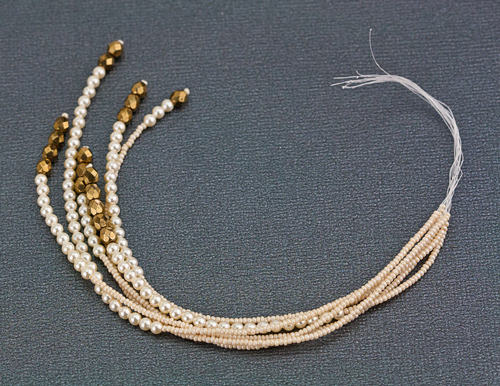 It will need to be twice the length you want each of your beaded strands to be plus 3-4 inches more. 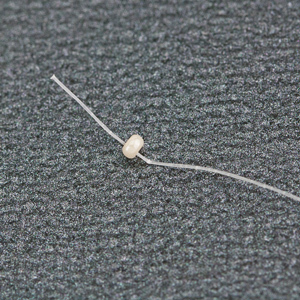 Thread on one seed bead. 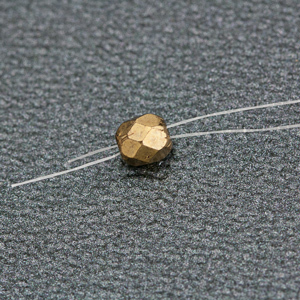 Move the bead to the center of the fireline and fold in half. 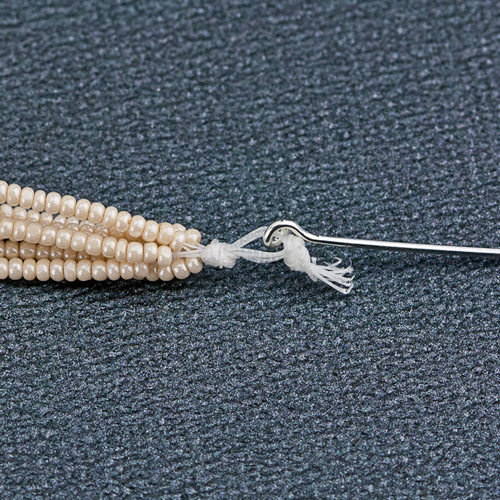 This will double up the rest of the thread and the seed bead will keep the other beads on the line. Thread on the rest of the beads. 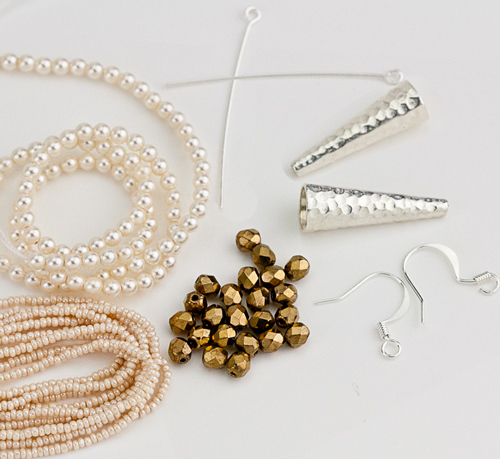 As I always say: variety is key to making your jewelry unique and one of a kind. 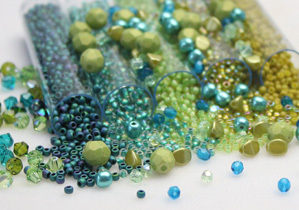 So, play around with color and bead type as well as length. We made 6 strands for each earring. 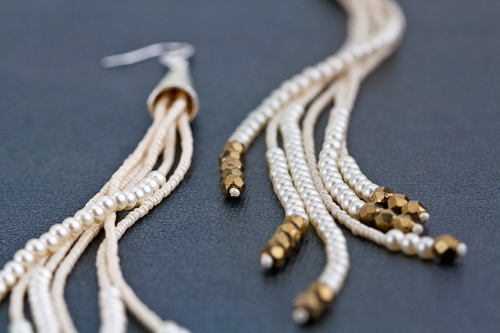 They differ in length and we also used different amounts of each bead on each strand for added variety and interest. Cut off the excess line. 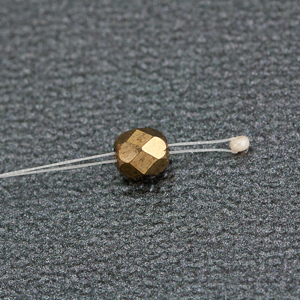 Open the eye pin and slide it between the threads. Then close it shut. Thread on a cone finding and slide it down to cover the line and knots. 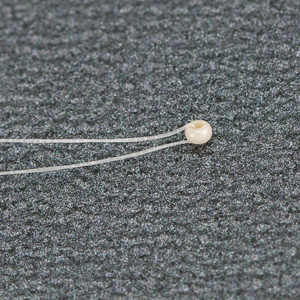 Using pliers to bend the pin. 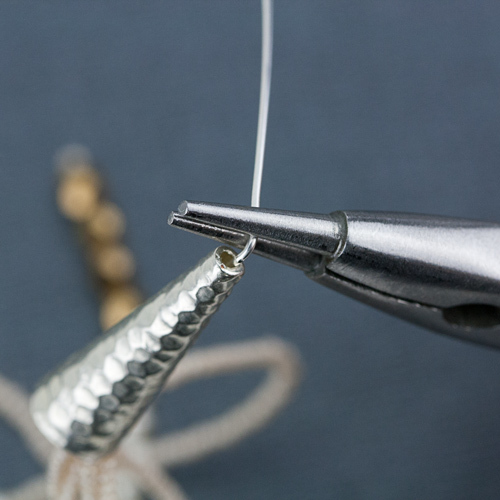 Create a loop and wrap the excess wire around to finish the loop. 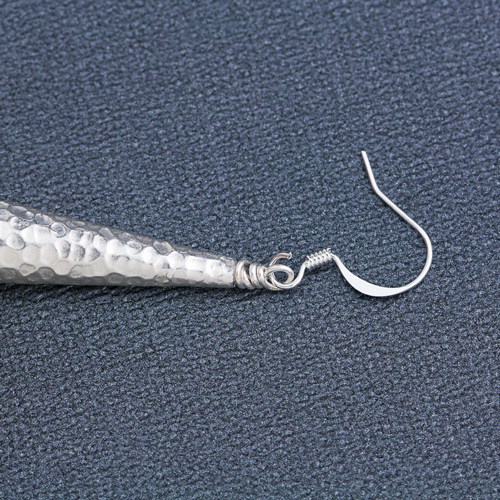 Do the same for the second earring and there you have it! A fashionable pair of designer inspired tassel earrings that are both trendy and as unique as you want to make them! 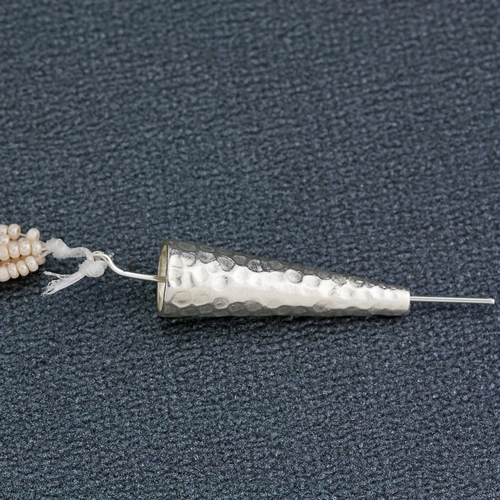 Play around with colors and bead combinations to make one of a kind earrings. 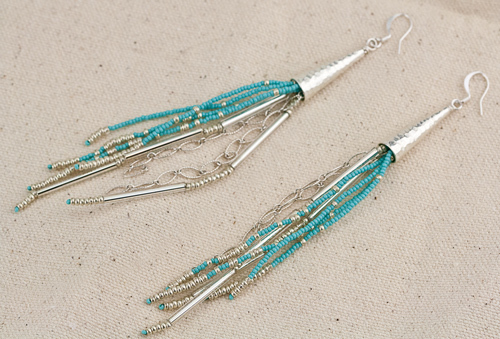 Below, we made another pair with a Bohemian Southwestern feel using turquoise and silver Charlotte Seed Beads. What size cone do you use? I’d like to order the components. 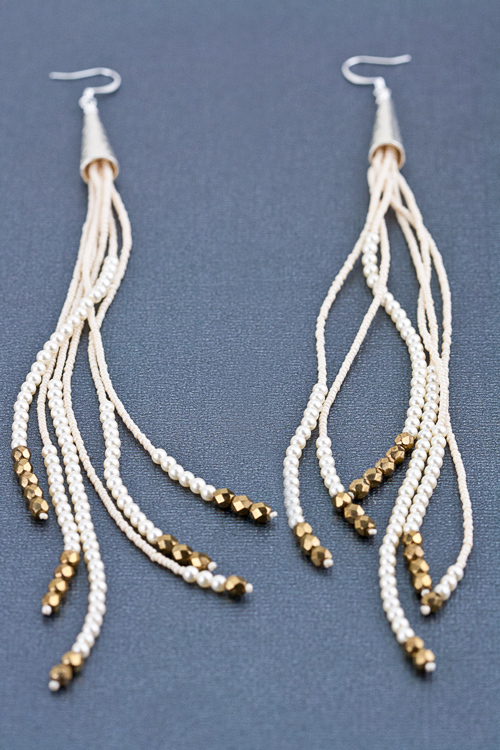 What size thread is best for tassel earrings…thank you..
Any size fireline will work for these earrings! 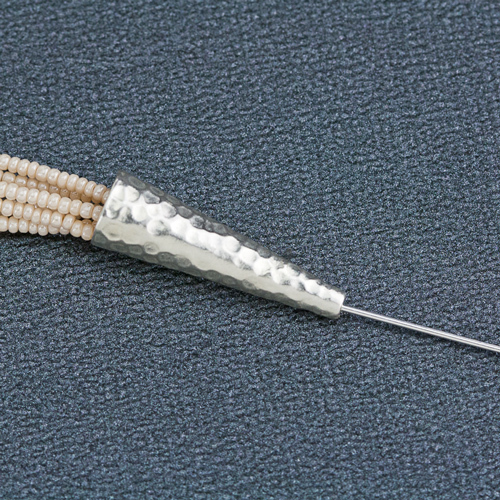 I have been looking for an easy to make tassel for a month. 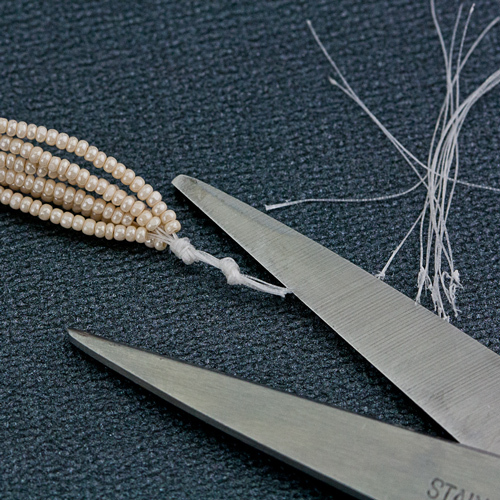 Most tutorials I’ve found are too time consuming (like sewing the beaded threads on grossgrain ribbon). 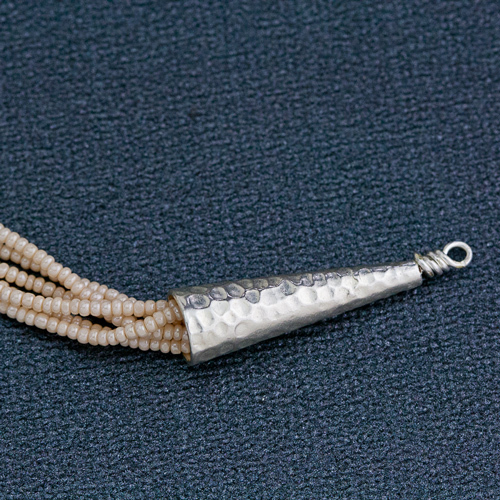 Others the ends are finished with a crimp bead which looks like DYI. Your method is just what I’ve been looking for. 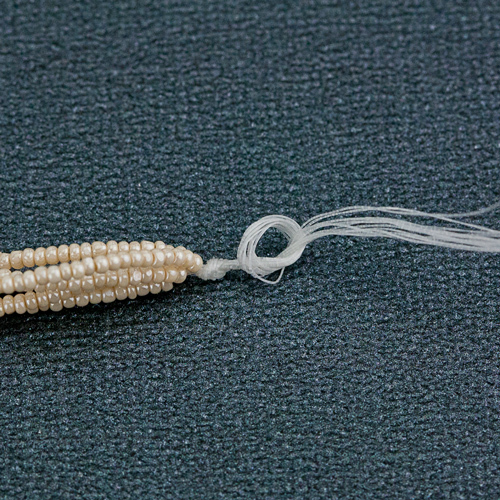 I can’t wait to make my first beaded tassel! Thanks! You welcome Judy. We are glad you liked our project.